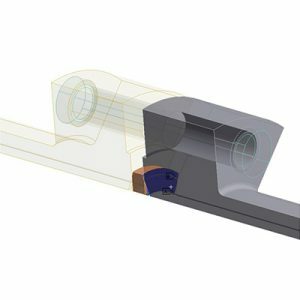 Our team has experience in providing finite element analysis, ASME code design & calculations, 3D solid modelling and drafting. We use specialized industry software for ASME B&PV Section VIII Division 1 “Design by Rules” and ASME B&PV Section VIII Division 2 – Part 5 “Design by Analysis”. 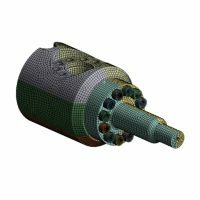 Mechanical design and verification, including thickness optimization, of pressure vessels in compliance with ASME B&PV Section VIII Division 1. Design verification by means of finite element analysis of valves, skids, nozzles, structures, saddles amongst others. Stress Classification and Stress Linearization in compliance with ASME B&PV Section VIII Division 2 – Part 5 “Design by Analysis”. Assessment of 3D mechanical design and calculation reports performed by third-party. Shakedown and Ratcheting analysis for mechanical equipment in accordance to ASME B&PV Section VIII Division 2 – Part 5. Verification of in-service equipment in accordance with API-579, Level I and II.